Cheap Car Insurance For Young Drivers! Call Us Toll-Free 1-855-550-5515 To Compare Quotes & Save! At ThinkInsure we understand that is a challenge for young drivers to get affordable car insurance. Our car insurance brokers can help you save with expert advice and ability to get quotes from over 40 companies. Expert Savings Advice : Our insurance experts can provide advice on ways young drivers can save on car insurance. Greater Choice : We partner with over 40 insurance providers. We can quickly shop and compare the cheapest rates to get you the best price and coverage. Young Driver Discounts : Ask us about the young driver discounts you may qualify for from the many insurance companies we work with. Renew And Save : When renewal time comes, we’ll search for the best rates with our large partner network to try and save you money. Personal Service : You'll get a dedicated personal service representative who is available to help you with renewals, claims and all your insurance matters. What Is A Good Way For Young Drivers To Save On Car Insurance? Then Usage Based Insurance could be the best way for you to get the cheapest car insurance rates. Usage based insurance (UBI) monitors braking, acceleration and kilometres driven. It’s THE most cost-effective product for young drivers who do not have a driving record, insurance record and are considered higher-risk for accidents. Save 5% instantly on your insurance quote. Save up to 25% with proven safe driving results. Easy to set up with a ThinkInsure broker. Only a 6-9 month monitor trial period. No-risk – premiums will NOT increase based on usage. Ready to sign up? Need more info? Call us toll-free 1-855-550-5515 and a broker can help you. Don’t be penalized by insurance companies just because you don’t have insurance or a driving history. Just by signing up for the program, you’ll receive a 5% discount. For young and new drivers this is really great news because you are building a personal driving profile. It is law that information from your usage-based program will not be used to increase your insurance rates. It can only be used to show your good driving patterns which will lower them. Speak with one of our brokers to get full information on this insurance program. We’ll be happy to answer any more questions you might have. Young Drivers Training – Why Do It? When you complete a government approved driving program, you can save anywhere from 10-25% on your insurance premiums. Just provide your insurer with a Driver’s License History Report (DHL) as proof that you successfully completed a Beginner Driver’s Ed course. When you take a driving course, you learn both practical in-car skills and in-class knowledge. You gain hours of training with a qualified teacher who is equipped with the most up-to-date knowledge on driving issues and challenges. Get Your G License As Quickly As Possible : Work through the graduated licensing system as quickly as possible to get more discounts. Build Insurance History : Become an occasional driver on your parents’ car insurance so you can build your insurance history. Consider Usage Based Insurance (UBI) : UBI is your best opportunity for affordable insurance right from the beginning. Obey The Road Rules : Keep your driving record clean (no texting, no speeding, no drinking, no convictions). Save With Good Grades : Maintain good grades at school as some insurers give discounts for good grades. 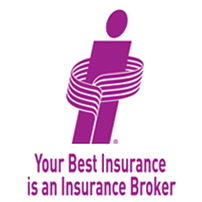 Get Advice From Your Broker : Brokers are car insurance experts who can advice you on the best ways to save. They also can quickly shop and compare rates with multiple insurance companies so you get the best rates and coverage. Compare Online Quotes or call toll-free 1-855-550-5515 and talk to a licensed broker. You could save hundreds on your car insurance!